Shirland Welfare Training Band takes players from junior school age, as well as a few adult learners, and has a regular concert and contest diary of its own. This thriving band is presently under the leadership of Shirland’s long serving member Ian Beckett. Many of the young children get their first taste of competition through the Training Band, taking part in local slow melody and quartet contests, where Shirland players have won many trophies and prizes. Many of the training band have gone on to gain wider experience and contest success with the senior Shirland Welfare Band. Much of the musical discipline and basic skill that is essential if a player is to develop successfully is established through the hard work and dedication we put into the training band! Any child who can play or is learning a brass instrument is welcome to visit Shirland and see what we have to offer. We do not ask for any subscriptions and we will loan instruments free-of-charge to any players who do not have them. However, in return, we would like parents and guardians of the players to become involved with the band, helping us in the week to week organisation and enjoying the social facilities available in the Welfare. Shirland is very lucky in that it enjoys some of the best facilities available to any brass band and we hope that you will make the best of them, to the benefit of your child. Training Band meets at the Shirland Miners Welfare band room each and every Thursday night, between 7.00pm and 8.15pm. 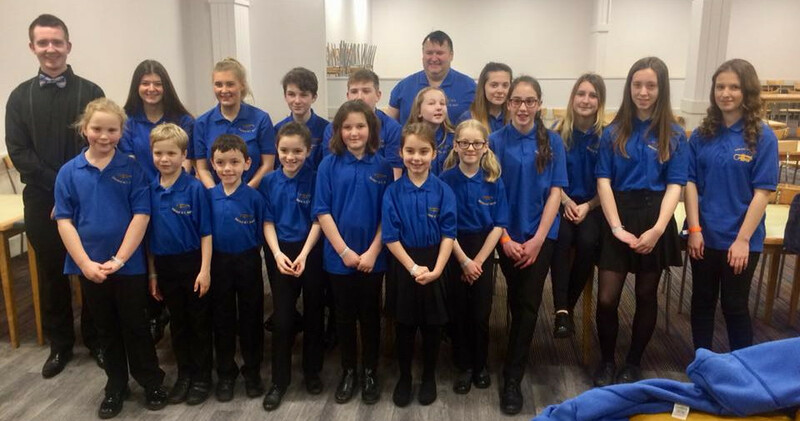 Shirland Welfare Training are a long established and successful training band with a track record of teaching children from the Chesterfield, Nottingham and Alfreton areas to play brass instruments. If you are a parent of a budding brass player or child who would like to start learning then contact us now.